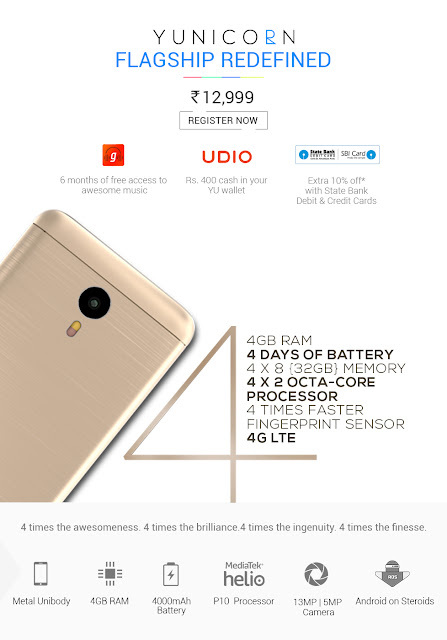 YU has finally launched a new smartphone Yunicorn in India at Rs 12,999. YU Yunicorn offers a premium metal design, 4GB RAM, 32GB storage and an octa-core processor with 4000mah battery. Yunicorn runs the company’s own OS named AOS (Android on Steroids). The new AOS OS comes with updated Around YU, which aggregates even more services than before. The Yunicorn will be available exclusively on Flipkart only.